*BLIP* *BLOOP* *BLIP* *BLOOP* "Aw....you sank my battleship!" "I win!" "Where? I don't..." "Here! Diagonally!" "Pretty sneaky, sis." Whenever there's trouble, we're there on the double, G.I. Joe is there! GO JOE! Ok, I'll admit it. The first line was the only accurate line pertaining to that picture. And, even though some elements of the game are missing, I bet each and every one of you can name that game. Naw, I'm just teasing. Yo can name it all you want, but since this post isn't being done in real-time, it would be pointless. Since I'll have written this post, gone to bed, woken up, showered, stopped at the store for breakfast, shown up at the school, unlocked my office and idled away at least an hour of work before you even read this. So...yeah. But hey, it's Friday! And that means it's the day before the weekend! And that's like, one of the best days ever! So, without further ado, let's move onto todays oddity. I'm not exactly sure it qualifies as 'odd' per se, but since it a fact most of you don't know, I'm counting it. What is the one fact that most people know about Pong? Why, it would be the fact that Pong was the first commercially available, coin operated video game. If you ask people what the first video game was, and they will tell you Pong. And, as I said, that's wrong. (Hey! I'm a poet!) Turns out, Pong was the first popular video game. Neil Bushnell had developed a game way back in 1970 that ran on a server called SpaceWars. In 1971 Bushnell and Ted Dabney came up with a stand alone version that was in a cabinet, and cost a quarter. They called it Computer Space. The game play was simple by todays standards; using two directional knobs you guided a space ship trying to avoid two flying sauces that were shooting at you. You also tried to hit the saucers. After 90 seconds, if you had more points than the saucers, you got 90 more seconds, and the screen went from white on black, to black on white. After another 90 seconds, same thing. If you had a higher score, you got 90 more seconds, and the screen switched back to normal. This went on until the saucers beat you. 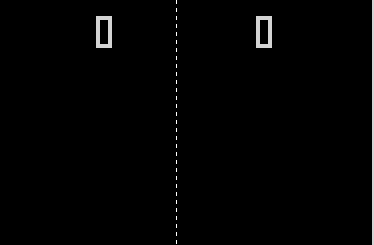 The failure of Computer Space to really take off with the public caused Bushnell and Al Alcorn to create the original Pong, which they based on the Magnavox Odyssey home consoles tennis game. So, Pong wasn't the first commercially available video game. It wasn't even the second. It was the third. But because it was the most popular and reached the greatest number of people, it is generally believed to be the first. Good thing I'm here to set you all straight. Ok smarty pants, untwist your knickers. I said Computer Space was the first commercially available coin operated video game. I am full aware that the coin operated Galaxy Game was released a full two months earlier. But it was only released on the Stanford campus. So the general public never even knew it existed. Galaxy Game does get credit for being the first video game to use a microprocessor. Computer Space had no microprocessor, RAM or ROMS. It used a series of 74 TTL chips to make the game work while the graphics were handled by diode arrays. No Pac-Man or Donkey Kong in the comments, please. Zaxxon, Galga, Gauntlet and Outrun are all fine.